You know Eric Stoen of Travel Babbo as the guy who takes his kids everywhere — literally. From the glaciers of Antarctica to the beaches of the Maldives, Stoen’s children have almost as many passport stamps as their dad — certainly more than the average 10 year old — and collectively inspire parentss to think outside the average family vacation. Stoen is a major advocate for family travel, so much so that he takes each of his children on a special one-on-one trip once a year to anywhere they want to go in the world. When we heard about the fun to be had at the Swissotel Chicago come December, we knew Stoen and his motley crew could easily navigate the city and uncover the best seasonal finds. They sure delivered. 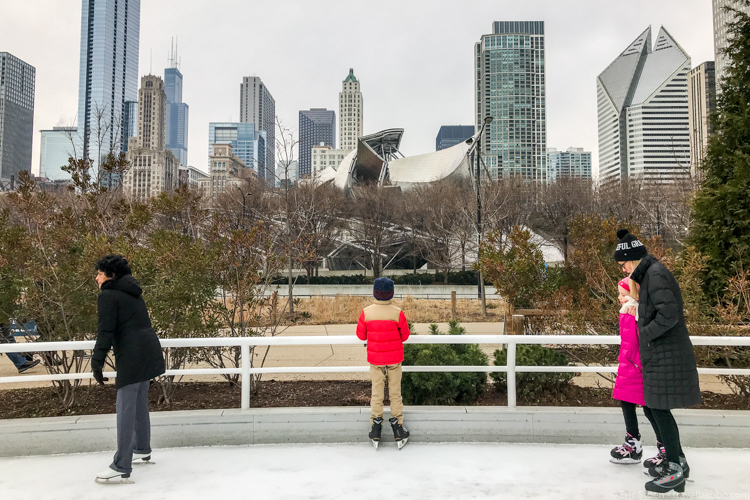 In 48 hours, Stoen and his son Henry toured the Christkindlmarket and the Museum of Science and Industry, saw the musical Hamilton, and skated at Maggie Daley Park — and even made time to meet Santa Claus in the legendary Santa Suite on the 41st floor. Hi Eric! Tell us a bit about yourself and how you got into travel blogging and photography. I spent my sophomore year of college in Florence, Italy, and fell in love with travel. It was amazing to see new places and new cultures every weekend! I kept that mentality through grad school and my 20s, and continued to travel after I got married and had kids. Photography was a natural fit, since it allowed me to capture travel memories without buying souvenirs. I had always been the resource for friends and family who were searching for destinations, but then in 2012 I won Conde Nast Traveler’s Photo of the Year contest and was able to meet the magazine’s writers who had always inspired my own travel. It occurred to me that our family travels were fairly unique, and there could be a wider audience for our adventures. So I started a blog in 2014 and it’s been a fun ride every since. Photography is such a great way to hold on to lifelong family memories, especially during the holidays. What is your best photography tip for families taking photos on trips? Don’t try too hard to pose your kids! I simply document our travels, and take pictures while the kids are exploring and having fun. That’s why virtually all of my photos show my kids walking away from me! We take maybe one posed family photo a year, but I have countless spontaneous photos of my kids that I love, and I haven’t interrupted our travels to get those shots. Your kids are very lucky because they each get a one-on-one trip with dad throughout the year. How did that idea come about? When my oldest daughter was three, she came home from Pre-K and asked to go to Antarctica to see penguins. I told her we would go when she was eight (NatGeo’s recommended minimum age), but asked if there was anywhere else she wanted to go now – maybe somewhere a little easier. She mentioned Sydney, since she had seen it on a cartoon. Sounded like a great idea to me! Our trip was amazing, so I started asking her every year after that where she wanted to go with me, and we went. Then I let the other kids do the same starting at four. It’s become a fun tradition. This year, you took your son, Henry, to the Swissotel Chicago just before the holidays. What were some of the highlights from your stay? We loved our Elf Decorated Room! Walking in to find a Christmas tree, a mini-reindeer, wreaths and festive pillows immediately put us into the holiday spirit. Plus we were on the 41st floor, just a few doors away from the hotel’s amazing Santa Suite! Definitely take your kids over to see the suite and meet Santa. We also loved the milk and cookies that were delivered to our room. Such a fun touch! And breakfast downstairs was excellent. 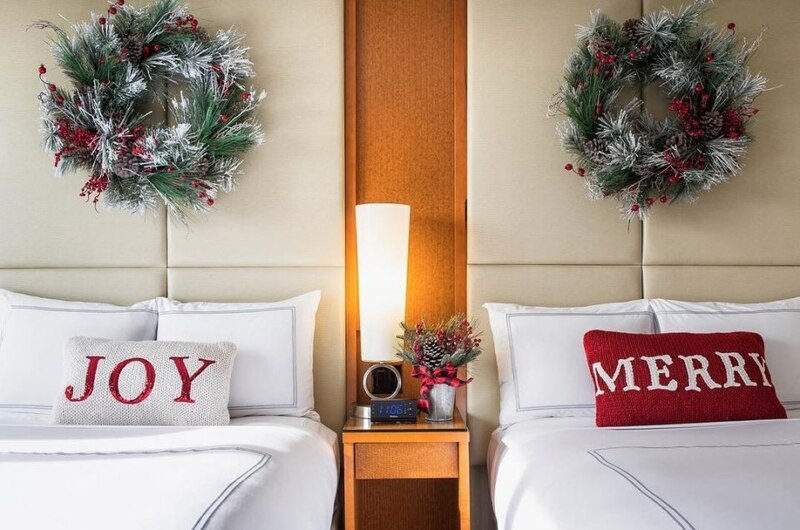 We heard that Santa sends a special group of elves straight from the North Pole to decorate the Santa Suite. What was it like? This year the theme is the Island of Misfit Toys. When you enter you see Santa’s dining room table set in anticipation of welcoming the toys, including Rudolph, the cowboy who rides an ostrich, and the train with square wheels. The suite is decorated throughout with themed Christmas trees. You see Santa’s bedroom, which is as festive as you can get. And then there’s Santa himself, eager to talk with kids about whether they’ve been good or bad, and what they want for Christmas. And the entire suite has an amazing view of the city. As a photographer, what were some of the most photo-worthy spots you encountered in Chicago? We loved The Bean. Every angle is different, and it’s fun for kids to play with their reflections. The Chicago River and the skyline are always photogenic. The Museum of Science and Industry is great when it’s decorated for the holidays. And O’Hare is my favorite airport for photography – especially the colorful underground passageway between terminals. 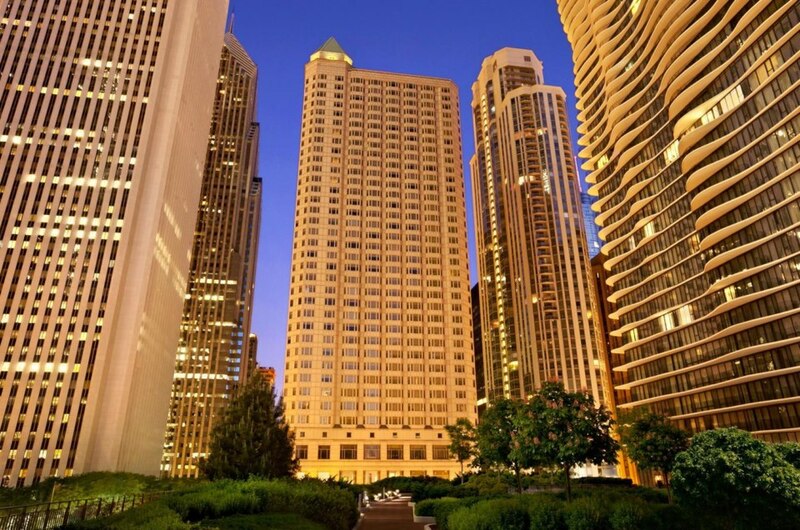 What about inside the Swissotel Chicago? Any places future guests should keep on their radar? The lobby is beautiful, all decorated for Christmas. But my favorite element everywhere was the view. The hotel is a triangle. We had views out of two sides from our corner suite, and saw the third side from the Santa Suite. You’re set whichever way your room is facing! How would you describe your travel style? Does it change when you travel with your children in tow? Our travel style is adventurous. I want to find the coolest, most unique, kid-friendly things around the world, regardless of location, and regardless of the cost. In some cases that means we’re staying at a not-inexpensive overwater bungalow, but we could just as easily be in a $50/night hotel next to a jungle temple. The only difference in my travel and my family travel is the level of adventure. I’ll do longer bike rides, hikes and kayaking trips when I’m not with my kids, as well as other things like renting a Vespa in Tuscany that you really can’t do with kids. The Fairmont and Swissotel brands are great hotels for the luxury traveler. How did the Swissotel brand stack up for the family? Everything was excellent! When I’m at a hotel I watch to see how the staff interacts with my kids. Every Swissotel employee was excellent. I also want a great location to be able to return to the room quickly wherever we are in the city, and it easily passed that test. And I want a good setup for family of five! Our room setup, with a suite connected to a standard room, was perfect. What would you recommend families do, see, and eat if they only have 48 hours in Chicago? I list everything we did in my blog post and would recommend every activity there to other families. I’d also probably add in some shopping.